After a one-year hiatus, the Utica Comets are back in the Calder Cup Playoffs. 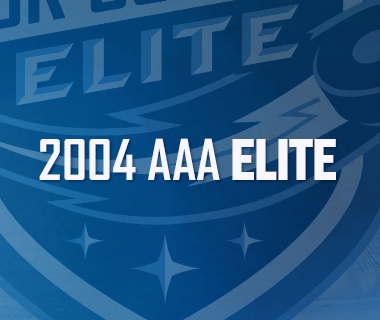 It is the third time in the team’s short five-year history that they will compete for the AHL’s ultimate prize. The chase for the cup begins Saturday evening just blocks away from the Hockey Hall of Fame in Toronto, Ontario. The team will return to home ice for Game 3 where Comets fans will once again #WhiteOutTheAUD for the greatest playoff atmosphere in the league. The Comets finished the regular season in fourth place in the North Division with a record of 38-26-12 and 88 points. 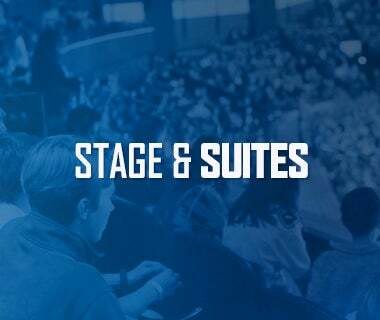 The Comets began the season with a seven game road trip due to the renovations at the Adirondack Bank Center. The Comets were a .500 team for the first few months of the season and the injury bug hit the team hard. This forced new faces into the lineup as an influx of players on professional tryout contracts filled the roster. A switch flipped as the calendar turned to 2018 and the Comets heated up and went on a team record 16-game point streak, which tied for the highest in the league this season. In addition, they also racked up a 12-game road point streak, another team record. In a season filled with injuries and 139 total player transactions, the Comets persevered and clinched the last playoff spot in the North Division on March 25. The Comets last playoff run came at the conclusion of the 2015-16 season, where they were defeated 3-1 in the Division Semifinals. Richard Bachman, Cole Cassels, Joseph LaBate, Carter Bancks, and Ashton Sautner are the only players on the current roster to play in that series. Bancks and Wacey Hamilton are the only remaining members of the storybook Calder Cup run in 2015 that took the team all the way to the finals where the trophy was hoisted under the cables of the Adirondack Bank Center. Sadly, it was not the Comets who would receive the ultimate honor that year. The Comets are set to face the top-rated Toronto Marlies who come in with a slight edge in playoff experience. They boast 318 games of playoff experience compared to Utica’s 258 games. Three players from each team have won a Calder Cup. 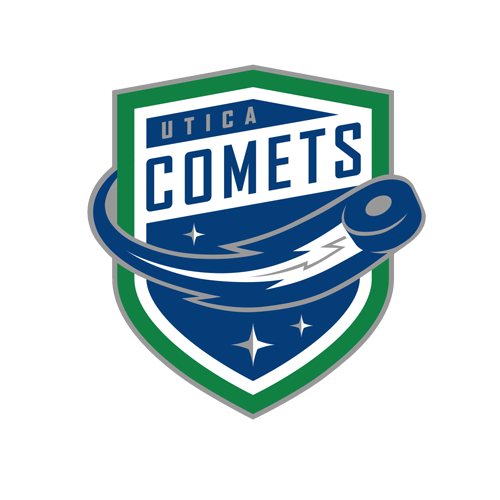 For the Comets, Michael Chaput and Jaime Sifers claimed the AHL’s ultimate prize in the 2016 with the Lake Erie Monsters and Patrick Wiercioch won in 2011 with the Binghamton Senators. Toronto’s Vincent LoVerde, Chris Mueller, and Colin Greening all have their names on the cup. LoVerde won in 2015 with the Manchester Monarchs, Mueller in 2014 with the Texas Stars, and Greening was also a member of Binghamton’s 2011 championship team. The Marlies have qualified for the playoffs in seven of the 10 years of their existence and have advanced to the second round or further in five of the last six years. They made the Calder Cup Finals in 2012, losing to the Norfolk Admirals in four games. The Comets will have their work cut out for them in this series. Toronto possesses the league’s third best offense, averaging 3.34 goals per game. In addition, Marlies also hold the top defense in the AHL, allowing 2.24 goals a night. Toronto is also no joke on the road. 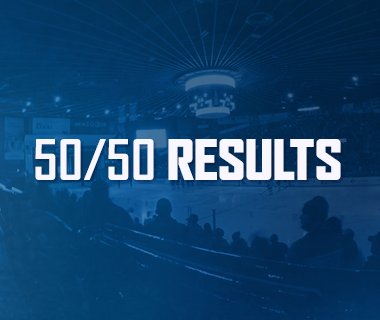 The Marlies went 30-5-3 away from home and set a league record for points on the road, claiming 63. In terms of special teams, the Comets and Marlies are a perfect match and will make for a fun matchup. The two teams are deadlocked at 18.0% on the power play. They also rank first and second in the league in penalty kill, with Toronto at 88.9% and the Comets killing off 85.5% of their penalties. Special teams will likely be a big factor in this series. Toronto won the season series 5-2-1 and holds the all-time series lead with a record of 22-13-3 against Utica. In eight games this season, the Marlies outscored the Comets 24-22 and six of the eight games were decided by two goals or less. Utica edged out Toronto in the special teams battle, converting on six of their 28 power plays and killing off 33 of 38 penalties. Ben Smith led all scorers in the season series with eight points (4-4-8), but was held scoreless in the final three matchups. Justin Holl (3-3-6) and Dymtro Timashov (2-4-6) also chipped in with six points each. Carter Bancks (1-4-5) and Wiercioch (3-2-5) led the Comets with five points each. Garret Sparks went 4-0-0 against Utica, posting a 1.96 goals-against average and a .926 save percentage. Thatcher Demko went 3-2-0 against the Marlies with a 2.36 goals-against average and a .933 save percentage. 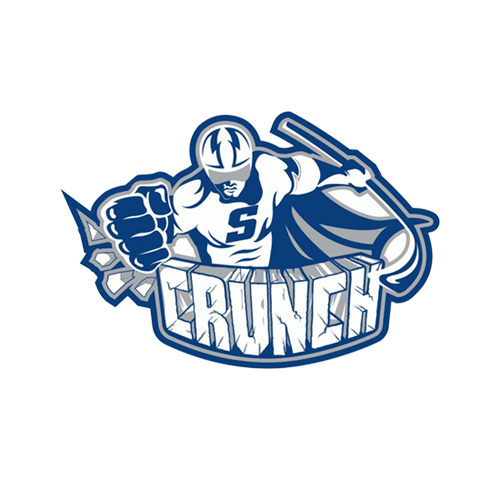 Comets: The Comets will rely heavily on its big guns – Michael Chaput, Nikolay Goldobin, and Zack MacEwen. Chaput leads the active roster with 42 points (17-25-42), Goldobin amassed 31 points (9-22-31) in 30 games, and MacEwen chipped in with 33 points (10-23-33) in his rookie campaign. Michael Carcone finished second on the active roster in goals, netting a career-high 15 this season. There is also a strong veteran presence up front, lead by Bancks and Hamilton. Rookies such as Tanner MacMaster, Lukas Jasek, and Jonathan Dahlen joined the Comets late in the season but look to make a big impact in this campaign. Marlies: The Marlies bring a well-balanced attack, boasting six players on the active roster with 30 or more points. Ben Smith led the way with 59 points (27-32-59), followed by Mueller with 52 points (19-33-52), and Miro Aaltonen with 43 points (20-23-43). Mueller also plays a key role on the Marlies power play, picking up 25 points on the man advantage. The team knows how to finish as well, outscoring opponents 101-56 in the third period this season. Comets: The Comets blue line corps features a good mix of experienced players and fresh faces. Patrick Wiercioch is the go-to man for points from the back end. The veteran defenseman is having a renaissance year, achieving career highs in all three statistical categories. He finished third overall on the team with 37 points (10-27-37). Rookie Guillaume Brisebois chipped in the second most points among Comets defensemen with 18 points (3-15-18). Dylan Blujus and Ashton Sautner lead the blue liners in plus/minus at +9. Marlies: The Marlies have a well-rounded group of defensemen who can put up points. Five of the nine defenders on the roster have 20 points or more, led by Justin Holl with 28 points (7-21-28) and Calle Rosen with 22 points (4-18-22). Martin Marincin and Justin Holl lead the group in plus/minus with a +35 and +23 respectively. The group is just as good at shutting teams down as they are at scoring. In 76 games, they allowed two goals or less 47 times. In addition, they allowed 170 goals, the least amount of any team in the league this season. Comets: Demko led all active goaltenders in the AHL this season in minutes played and saves and finished the season with a 25-13-7 record, a 2.44 goals-against average, a .922 save percentage and one shutout. His 25 wins set a Comets team record for most in a single season. Richard Bachman struggled to start the season but was able to recover and finish with a record of 13-13-5 with a 2.98 goals-against average and a .902 save percentage. This will be Demko’s first taste of professional playoff action, while Bachman has participated in 21 playoff games, going 7-13-0 with a 2.16 goals-against average and a .930 save percentage, including a stellar performance in 2015 with the Oklahoma City Barons which nearly ended the Comets season. Marlies: The Marlies won the Harry “Hap” Holmes Memorial Award for allowing the least goals-against per game thanks to the two-headed monster of Sparks and Calvin Pickard in net. Sparks lead the league in wins (31), goals-against average, (1.79) and save percentage (.936). He also ranked second with six shutouts and won the Aldege “Baz” Bastien Memorial Award as the AHL’s outstanding goaltender for the 2017-18 season. Pickard wasn’t too shabby either; earning 21 wins with a 2.31 goals-against average and .918 save percentage. Sparks has appeared in eight playoff games, going 3-3-0 with a 2.42 goals-against average and .910 save percentage. Pickard has yet to play an AHL postseason game. Comets: The Comets need to stay disciplined and take advantage of an aggressive Marlies defensive corps. They will look to continue their recipe of merging new talent with experienced leadership. The Comets are preparing to be ready to attack every shift through 60 minutes of hockey. Forty-four one-goal games this season have readied the Comets to stay in the game and never rest on their heels. Sticking with the systems will be key and the Comets practices have been very productive and focused since Sunday’s OT win to close out the regular season. 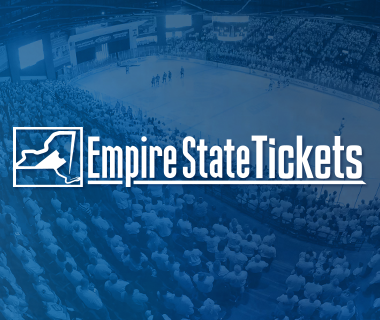 Comets fans know the atmosphere at the Adirondack Bank Center can intimidate even the most seasoned goalies and that will be a necessary element when the team returns to home ice on Wednesday, April 25. Marlies: Goaltender Sparks comes out on fire and stops the Comets young guns in their tracks. The Marlies will need to outwork the blue collar Comets on every shift. They are a highly skilled team and need to use that to their advantage well. Their offensive production this season speaks for itself and they will come ready to play.